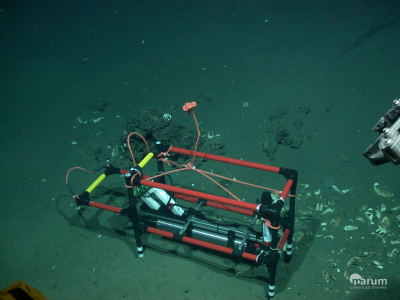 In situ deployment of a profiler with 11 sensors. 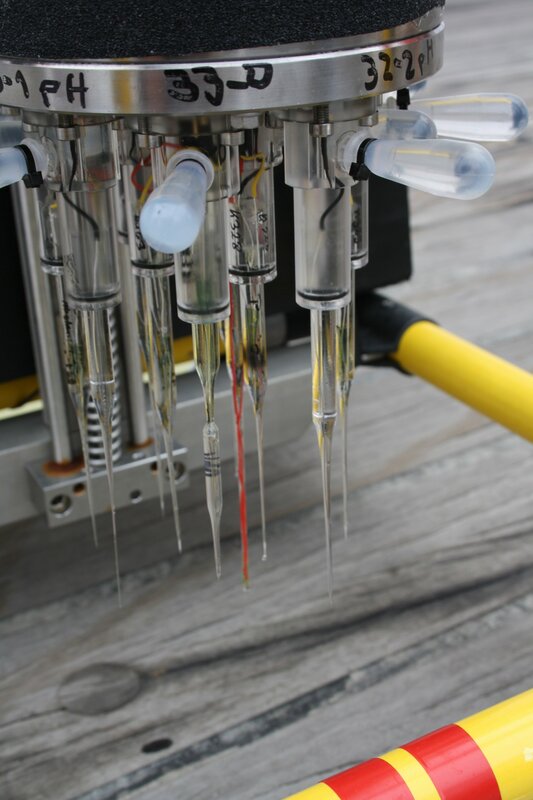 Closeup showing microsensors attached to profiler. 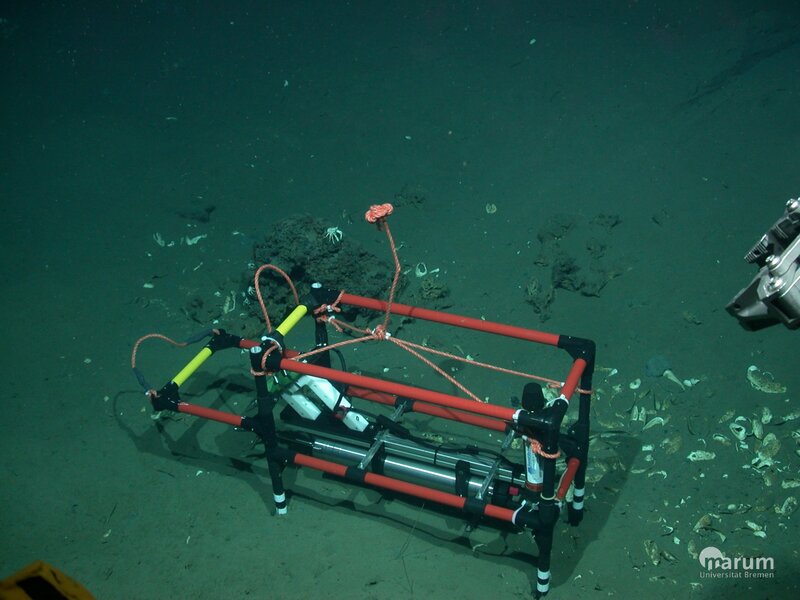 Benthic chamber incubation on bacterial mat. 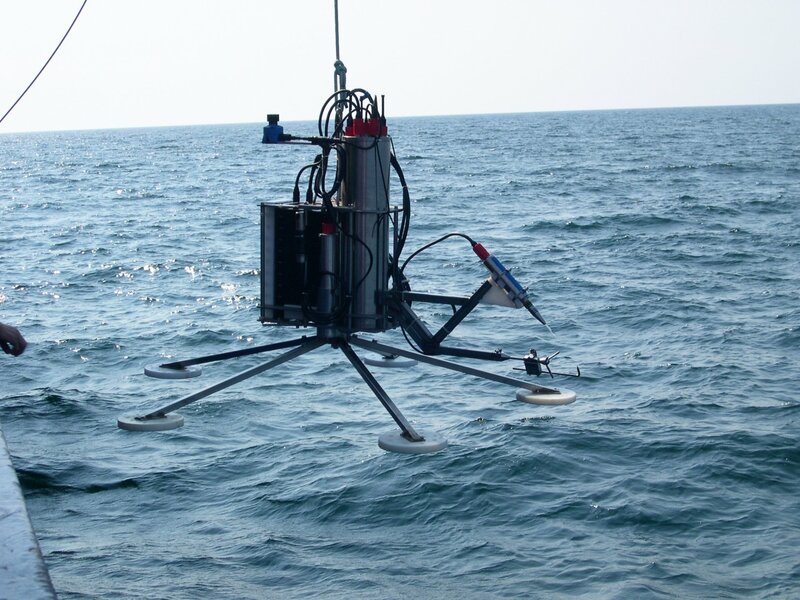 Bringing the Eddy into the water. 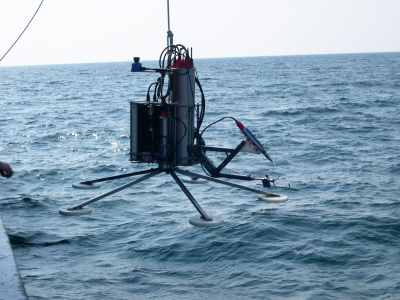 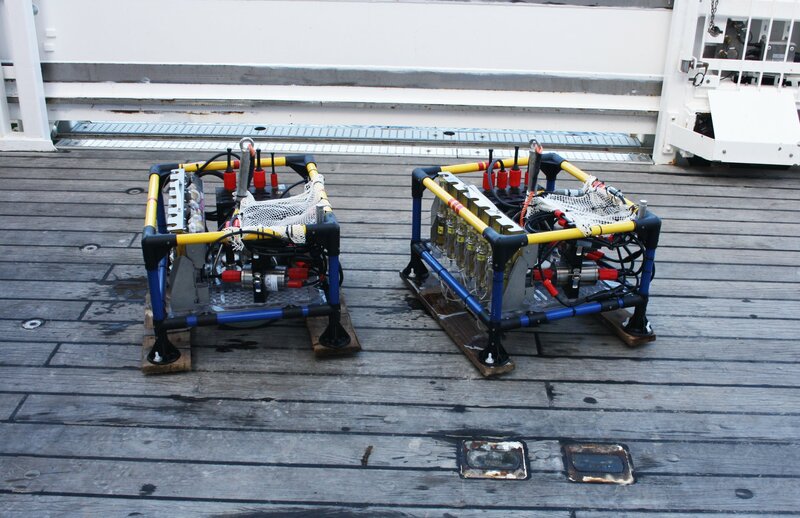 In situ deployment of the MuFo (left) in the Black Sea, a closeup (middle), and full view of the instrument on board (right). 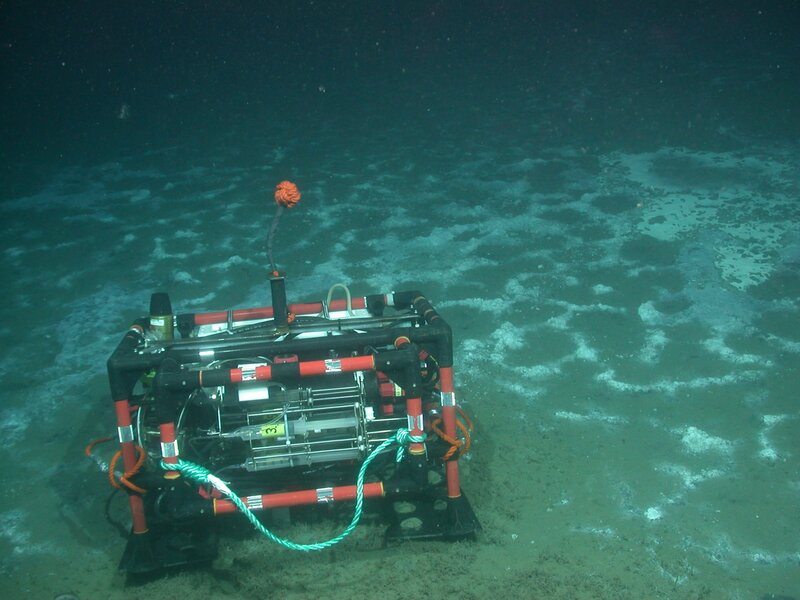 In situ deployment of the Planar Optode. The INSINC is a device to measure in situ sulfate reduction. INSINC in situ deployment, measuring sulfate reduction in a microbial mat. 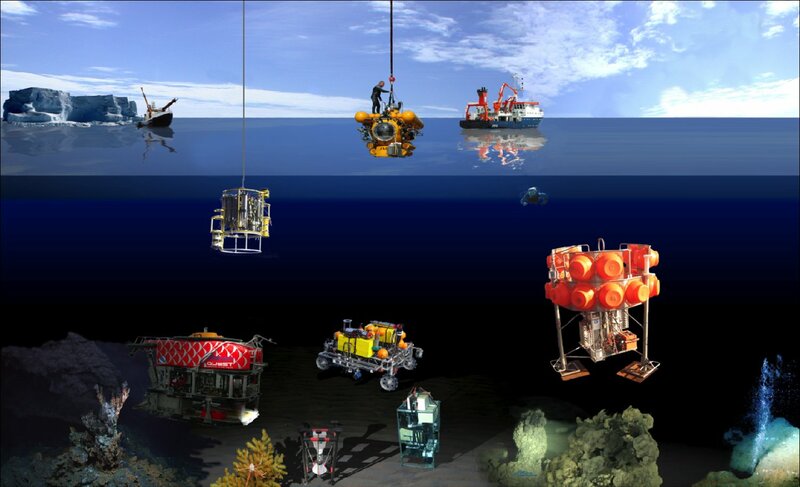 Colossos can be used as a "lift" to attach instruments and bring them to the bottom of the ocean. Here, an ROV can detach the instruments and deploy them for measurements, incubations, etc.